Lebanon’s real estate sector has taken a hit in recent years, where a multitude of factors have led to dwindling demand among endless supply. In Lebanon’s ailing economy, a few sectors have stood the strain and continued to see production despite all. One of these sectors has been real estate. Yet, while the production has existed, the demand hasn’t. 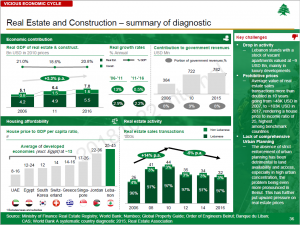 In truth, a variety of factors are behind bringing Lebanon’s real estate sector to its knees. “Political tension and the economic crisis in the region are the main drivers of the stagnation, as they decreased the demand from Arabs and expats which were the driving force for the real estate market,” Christelle Abou Jaoude, Sales and Marketing Manager at Lebanese real estate company Z.R.E., told AMEinfo. Z.R.E. 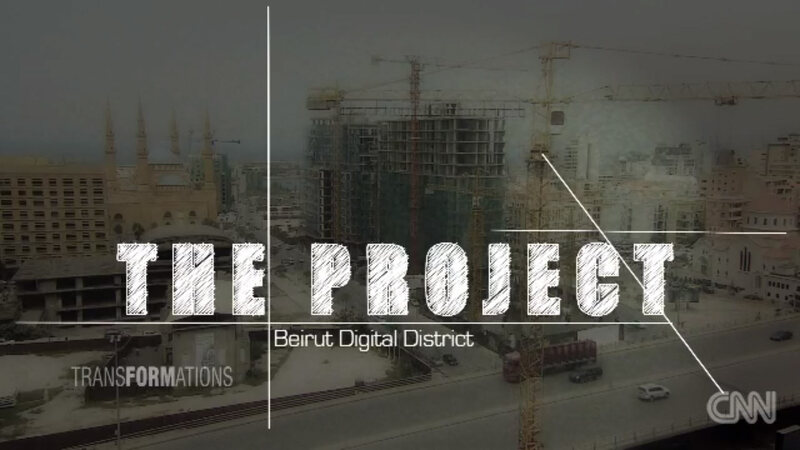 is the company that brought the Beirut Digital District to life, a distinctive startup hub in the MENA region. From the Syrian conflict to high unemployment rates and dwindling Gulf investments, things aren’t looking too great. Furthermore, the country can in no shape or form rely solely on local purchases to keep itself afloat – not with the current economic situation, and especially not given the rampant inflation in the market. This inflation reared its head near the late noughties, peaking in 2010. It’s no secret that Lebanon’s unemployment rates are not an exact picture of health. Unemployment reached 6.3% in 2017, according to Trading Economics, with fresh graduates receiving the brunt of this jobless reality. All the while, Lebanon’s real estate values have been skyrocketing. It all comes down to basic economics: supply has far exceeded demand. According to Annahar, Chief Financial Market Strategist Jihad El Hokayem believes that you will be able to buy 3 properties for the price of one in Lebanon by 2020. According to Executive magazine, “the year-on-year comparison through July  shows transactions down almost 10%, with their value declining by nearly 23%. 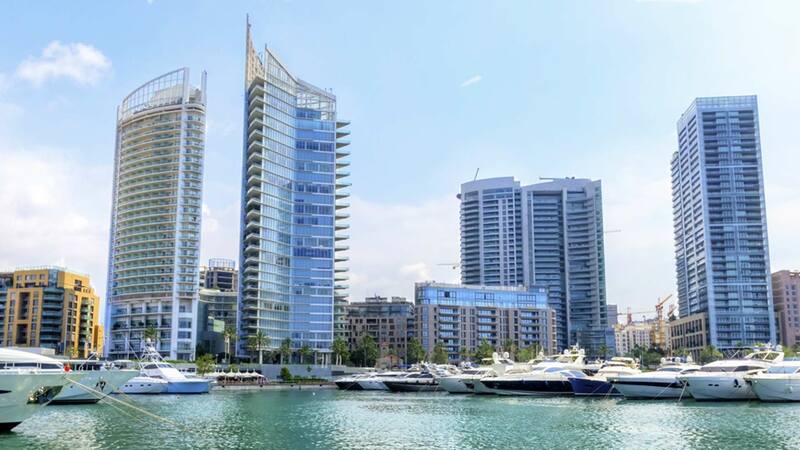 Demand for real estate was down 26% in the first quarter of this year compared to the preceding quarter, and down 24% compared to Q1 2017, results of the Byblos Bank Real Estate Demand Index show. “Foreign demand has been steadily declining in recent years, with investment from wealthy businessmen based in the Gulf almost non-existent today,” Annahar said. The nearby Syrian conflict has not helped with the situation either, causing potential investors both local and foreign to think twice before committing to the country. We say local because the Lebanese often seek their fortunes abroad, with expats in the greater diaspora eclipsing local nationals in numbers. Finally, many Lebanese rely on subsidized housing loans (Iskan loans) from the government to help them complete a purchase. With high unemployment rates and low wages, this should come as no surprise. The Iskan loan, however, had been discontinued by the end of 2017, leaving many low-earning Lebanon to contend with high rent rates. This will change in 2019, however. “Lebanon’s housing authority, the Public Corporation for Housing (PCH), is set to restart its subsidy in 2019 for lower-income, first-time homebuyers, thanks to a one-time allocation of $66 million by Parliament,” Executive noted. This will help get cheaper apartments off the shelf, but higher-end units in areas such as Beirut will remain collecting dust. A Lebanese Ministry of Economy-commissioned report, conducted by global consulting firm McKinsey for a $1.3 million fee, paints a very troubling picture of Lebanon. The scathing 1,200-page report put several sectors under the microscope and pointed to a country teetering on the edge of calamity. As for its analysis of the real estate sector, it seemed to concur with general opinions of the sector: No one was buying. Abdallah Hayek, CEO of Hayek Engineering and Construction Group, said in an expert discussion with Annahar and Daniel Azzi, former CEO of Standard Chartered Lebanon, that the surplus in the market was aggravated by “non-professional developers who entered the market” during the peak years of 2010, arguing that they played a role in impacting consumer’s confidence in the market as a whole. “We are faced with a correction, the professionals will survive and the intruders have to figure a way out with minimum losses,” he said. Azzi agreed, alluding to these “amateur professionals who entered the market at the peak of the bubble” with no prior experience in the real estate sector. 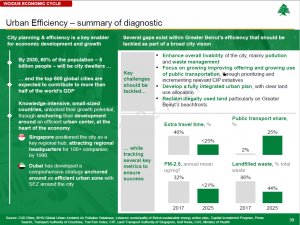 To compound this supply issue, the fact that Lebanon has been a complete stranger to the concept of urban planning has severely hurt its real estate sector. Urban planning would allow Lebanon to get a handle on its scattershot approach to urban development, and perhaps regulate the market and its prices. Indeed, if we follow basic economic principles, the price has nowhere to go except down, regardless of what any pushy real estate agent might tell you. It’s true that Lebanon is a tiny country, and the urban hotspots aren’t getting bigger anytime soon, but this market cannot sustain the inflation it has been propagating for the last 8-9 years. Could you indeed buy 3 properties for the price of one by 2020? We’ll have to wait and see. 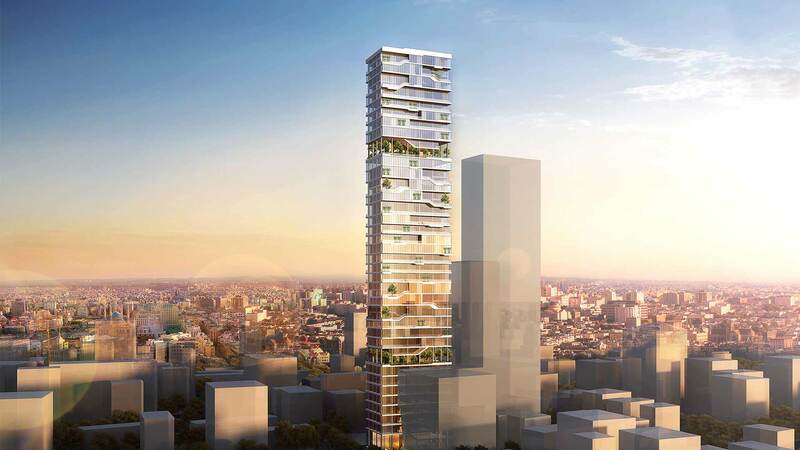 The return of the Iskan subsidies could stoke seller arrogance and trigger higher prices once more, but the market has been suffering, and these same property owners must be dying to make a sale right now. Regarding expansion, could you tell us about the agreement that you signed with the Faculty of Engineering at AUB?